About – Wheelton & District Branch of The Pony Club | A youth organisation for all those interested in pony and horse riding in Lancashire .. The Pony Club is ‘the’ starting point for any young person who wants to learn how to ride and care for equines! Wheelton is a small and friendly branch of The Pony Club and therefore there are lots of opportunities for members to get involved with activities and represent the branch. Our aims are to make Pony Club fun, to encourage and develop good horsemanship and good sportsmanship, and to provide every member with the opportunity to progress and succeed at whatever level suits them. Our members receive the highest level of instruction from a group of our own highly experienced and popular instructors and this year specialist lessons from Taylor Casselles, Carrie Byrom and others. We welcome new members to our Branch – see ‘Joining Our Branch‘ for information about our Taster Ticket. We try to offer something for everyone, from the youngest to the oldest, most experienced rider – in 2018 we had working rallies, specialist rallies, visits, fun rides, and lots of different pony club badges. Members have had the opportunity to go to camp and this years camp is again at Somerford Park! We have sent teams and individuals to area competitions and inter branch competitions throughout the year. We also hold our own annual show, hunter trials, one day event, jump cross, triathlon and dressage competitions. 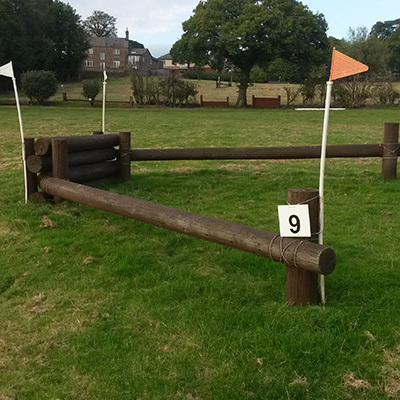 We are very fortunate to have our own base at The Red Cat, Wheelton, with an impressive cross country course including a water jump and a full set of show jumps. This is where many of our events are held, we use other venues in the area to provide a wide range of activities and training throughout the year. The Red Cat Cross Country Course can be hired by members, centres or non members. Our branch is run by a committee of enthusiastic volunteers who work tirelessly to provide activities for our members. Parents are encouraged to participate in whatever capacity they can so please do let us know how and when you would like to help – we pride ourselves on being a friendly and approachable branch. Each year we hold events to raise funds, the money earned helps to pay for instructors at rallies and to buy and maintain equipment. contact Allison our Branch Membership Secretary or any of our Committee for a chat.